Oceania Cruises is making a triple-play of transformations, breathtaking in scope, that have already begun. When complete over the next few years these three tremendous changes will elevate all of the things you love about Oceania, and give you even more to experience. A thousand artisans have been deployed in the process to up-convert the Regatta, Insignia, Sirena, and Nautica. Inspired by their newer big sisters in the fleet, the Marina and Riviera, the Regatta-class ships each emerges from a sweeping rejuvenation with over 300 brand-new designer suites and staterooms, and a new interpretation of décor in public spaces that will still make the ships feel like home to guests, while reflecting the 450 Oceania destination ports. On your next Oceania cruise on a transformed ship, you'll be welcomed by a dramatic new central staircase, dazzling, artistic, centerpiece chandeliers in the Grand Dining Room, tones and textures that reflect the sea and sky and welcoming shores, and in staterooms, lavish bathroom re-designs, and technology enhancements like USB ports and interactive, state-of-the-art television systems. 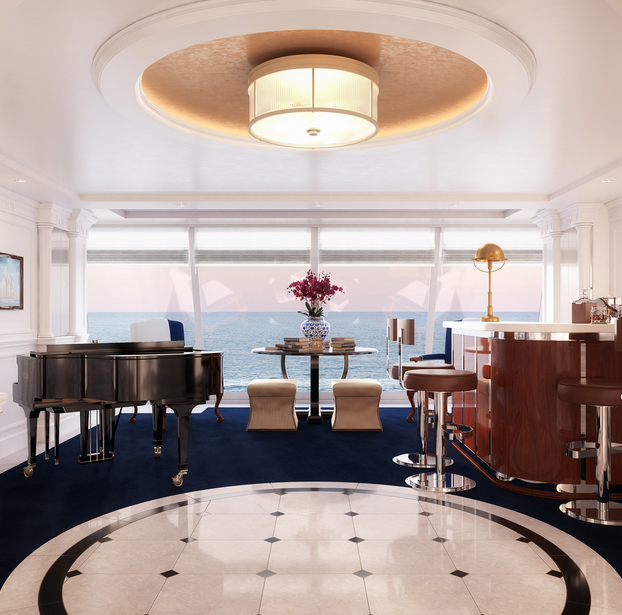 Even as they serve as muses of the Regatta-class ship rejuvenations, the Marina and Riviera will themselves be enhanced, including a new generation of Owner's Suites whose new look will be furnished entirely by Ralph Lauren Home. The 2000-square-foot suites' living rooms, master suites with king-sized beds, two walk-in closets, indoor and outdoor whirlpools, wraparound teak verandas, spectacular foyers with floor-to-ceiling sea views, mahogany bars and grand pianos, are being re-mastered in Ralph Lauren's quintessential American luxury style interpreted through yachting themes of navy, white, crème and camel tones, accented by nautical stripes, sail-inspired fabrics, rich, saddle-stitched leather, and pops of luxurious metals. Re-mastered suites debut on the Riviera in spring 2019 and on the Marina the following year. The OceaniaNEXT transformation includes incredible new experiences too. The Oceania Marina and Riviera are the only places in the world you can indulge in the Dom Perignon Experience. The most revered brand in champagne has partnered with Oceania to create an experience of a lifetime, one that's already available at La Reserve. (WATCH THE VIDEO TO LEARN MORE AND MEET THE CHEFS HERE). 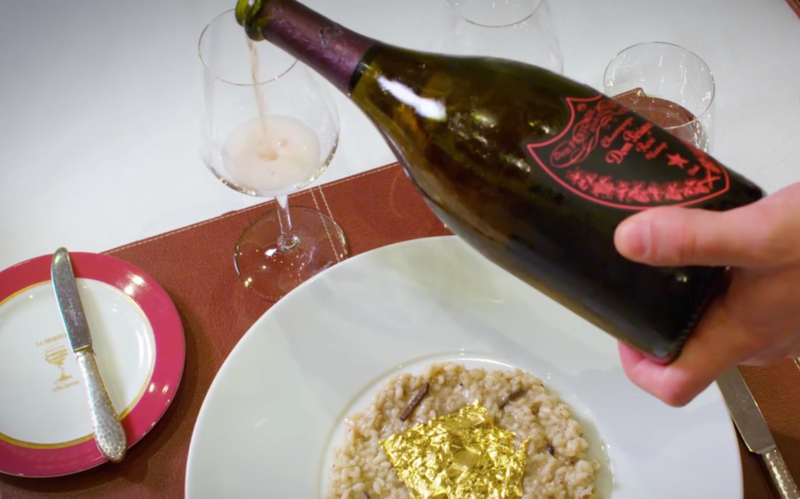 Six exquisite courses are paired with a different expression and vintage of Dom Perignon. Being able to try four different vintages of the grandfather of champagnes, paired with culinary creations of the combined Oceania and Dom Perignon teams, is a truly unforgettable evening. OceaniaNEXT isn't just about re-imagination. The transformation of the cruise line includes a whole new, Allura-class of ships, debuting in 2022. Details are starting to be revealed about the next generation of Oceania cruise ships, and we can't wait to hear more about how Oceania's fleet-wide cruising experience, from design to dining and lifestyle experiences, as well as ships will evolve. What we know is that the sparkle, and at-home warmth of Oceania cruises, as well as the celebrated dining and in-depth destination exploration, will remain a hallmark through the OceaniaNEXT generation of cruising.